CaseAgile – Business Process Management and Enterprise Architecture – Robotic Process Automation: blessing or offense? Robotic Process Automation is generally an acronym for software, which closely mimics behavior of humans when interacting with various computer systems. There exist several most common use cases for this technology. 1. It is commonly used in various test automation scenarios when it is necessary to reproduce hypothetical behavior of software users with system under testing. In this scenario, Robotic Process Automation is definitely a breakthrough, which allows saving a lot of tedious routine work previously done by human testers. It is correct to say that Robotic automation of test procedures created new reality in software quality assurance. 2. Second most common use case is an automation of interaction with legacy computer systems, which do not have any other way of interaction with an external software as an emulation of on screen user actions. Although this scenario is technically feasible and even possible to reach significant degree of reliability, it is fundamentally artificial and inherently counter-productive because it conserves interaction with poorly designed outdated systems in an unnatural, unreliable and inefficient fashion. In all such cases Robotic Process Automation can be considered only as a desperate last resort solution to be used temporally until proper API for the target system will be created on IT level to allow interaction with the system programmatically. If natural, vendor endorsed APIs are absent, there always should be considered alternatives, such as direct interaction with databases or data streams. If this is impossible, then system should be replaced or upgraded on the first opportunity. As a rule, this type of automation is used in organizations with really ancient systems or lacking qualified IT consultants to offer better alternatives. 3. 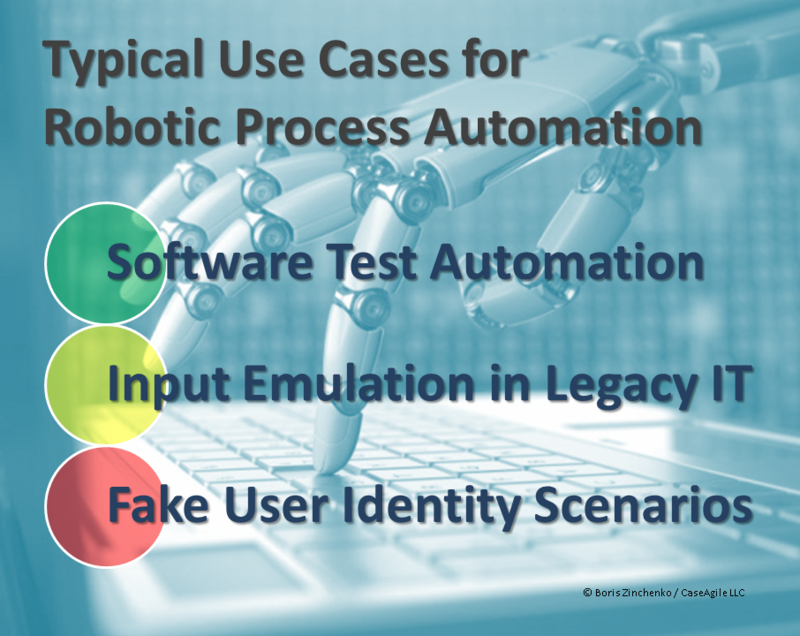 Another, even more dubious case of using Robotic Process Automation relates to emulation of human users when interacting with various public or corporate gateways and portals where real humans are expected and required by the virtue of the service. 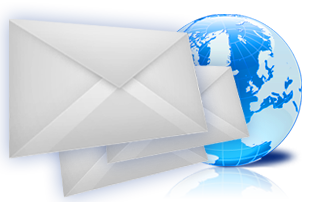 For instance, a web site often requires real human making input according to its business model and client interaction scenario. Using Robotic Process Automation with various advanced techniques, e.g. automatic captcha recognition with AI, in such cases without explicit permission of an owner is often an evident offense violating published usage policies of the resource and, sometimes, even a crime. There must be created rigid regulations limiting usage of Robotic Process Automation is these cases and preventing massive offense of corporate security by AI driven systems used improperly. It won’t be an exaggeration to say that significant amount of antivirus, anti-malware and corporate security solutions is developed now exactly to combat explosive growth of offensive Robotic Process Automation. In general, true Robotic Process Automation is very niche and, sometimes, even marginal technology, which is not specifically related to BPM and often contradicts fundamental BPM mission of natural and well-structured integration of business and IT. If a company massively implements Robotic Process Automation outside of its intended niches, it might indicate fundamental crisis in management and IT systems of this organization. Robotic Process Automation is recently tending to evolve as wider term of automating business processes in general. In this wider context word “robotic” might be exorbitant and confusing because it contradicts common understanding and practice of IT process automation. Robotic is more associated with higher level of human replacement in context of UI and natural human interaction with computer system.